Incepted in 2003, Hidden Brains is a successful business icon in the Information Technology industry. Credibility and recognition of Hidden Brains can be gauged from several awards and accolades it has earned in its tenure of 15+ years in the industry. Our proven competency in delivering innovative business solutions and consistent quality standards has not gone unnoticed. Hidden Brains has bagged several prestigious awards for excellent performance in the IT domain and these recognitions strongly motivate us to challenge our own limits. 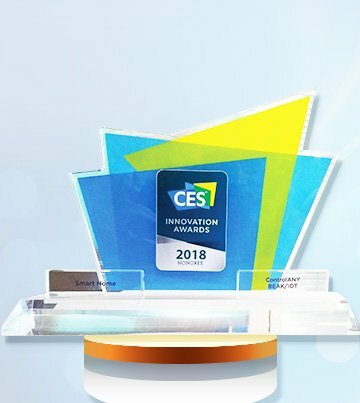 Hidden Brains’ product ControlAny received ‘CES 2018 Innovation Award’ for product ‘BEAK’ in ‘Smart Home’ category held in Las Vegas, Nevada. CES 2018 is the world's largest gathering for businesses of consumer technologies. Products entered in this program are judged by panel of independent industrial designers, independent engineers and members of the trade media. Mr. Ram Chhawchharia was honored with ‘Gujarat’s Young Achiever’s Award 2017’ in the launch event of ‘Zee 24 Kalak’ that witnessed presence of CM Mr. Vijay Rupani, Deputy CM of Gujarat Mr. Nitinbhai Patel, Essel Group Chairman & Rajya Sabha MP Dr. Subhash Chandra & CEO of Zee’s regional channels Mr. Jagdish Chandra. Hidden Brains is honored with ‘IoT Innovation’ Award at International Conference on ICT for Intelligent Systems (ICTIS – 2017). Hidden Brains Executive Director, Mr. Vikas Mishra and Head-Sales Mr. Parmesh Shah received the award for delivering smart and intelligent IoT automation solutions. Hidden Brains is the proud winner of ‘Corporate Excellence’ Award at International Conference on ICT for Intelligent Systems (ICTIS – 2017) held at Ahmedabad, India. We were awarded for our considerable and remarkable contributions related to advance & innovative technological developments in the ICT Domain. 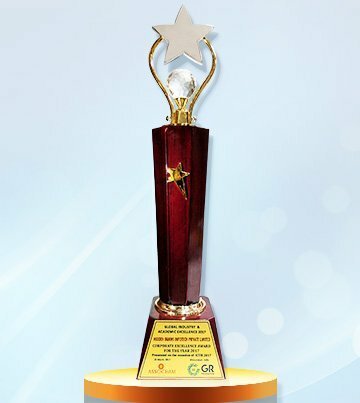 International Conference on ICT for Sustainable Development awarded Hidden Brains as the ‘Best ICT Company of the Year’ in the year 2016. We have been appreciated for our dedicated efforts towards innovation in the Indian ICT industry, outstanding performance and delivering proven business centric solutions. 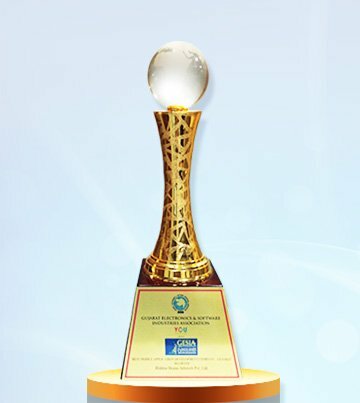 Hidden Brains has been given the title of ‘Best Mobile Application Development Company’ in Diamond Category by Gujarat Electronics & Software Industries Association, commonly known as GESIA for two consecutive years. Mr. Vikas Mishra, Executive Director – Marketing received this honourable award in 2013. 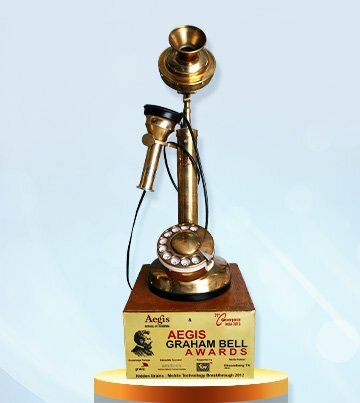 We won against 84 companies and stood out explicitly as ‘Mobile Application Development and Delivery’ during Aegis Graham Bell Award function 2013 held in New Delhi. This pride was received by Mr. Vikas Mishra - Executive Director - Marketing and Mr. Jigar Joshi - Program manager of Hidden Brains. 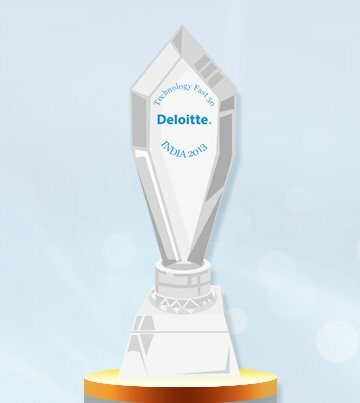 Deloitte Technology Fast 50 India 2013 declared Hidden Brains as one of ‘The Fastest-Growing Company’ among top 50 names. 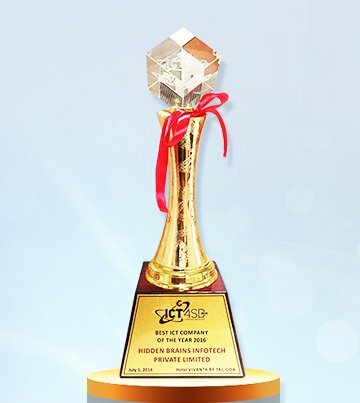 This prestigious award was received by Mr. Vishal Chhawchharia - the Managing Director & CEO and Mr. Vikas Mishra - the Executive Director - Marketing of Hidden Brains. 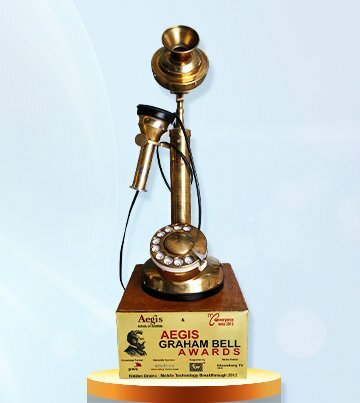 Beating Reliance, Infosys, Idea and Cisco, we were declared winner of Aegis Graham Bell Award 2012. Our ‘SmartiNet app’ won us title of ‘Mobile Technology Breakthrough’. 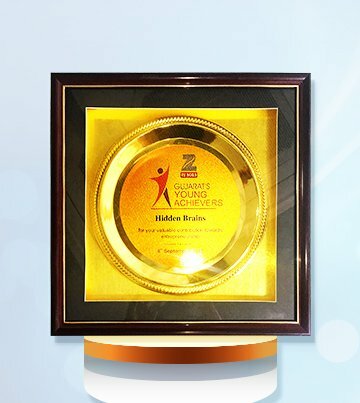 This award was received by Mr. Ram Chhawchharia - COO & Director Sales of Hidden Brains at a function held in New Delhi. 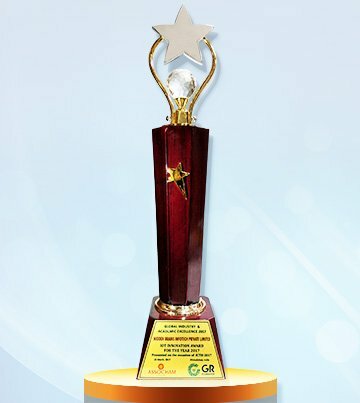 With our core focus on quality, innovation and delivering technical excellence, we won ‘International Star Award in Gold Category’ in World Quality Commitment 2010 event. 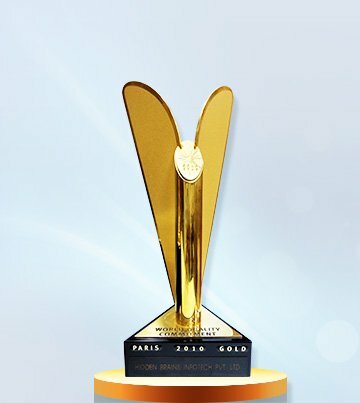 Mr. Parmesh Shah, Head-Sales of Hidden Brains received this award on behalf of Hidden Brains in Paris, France.